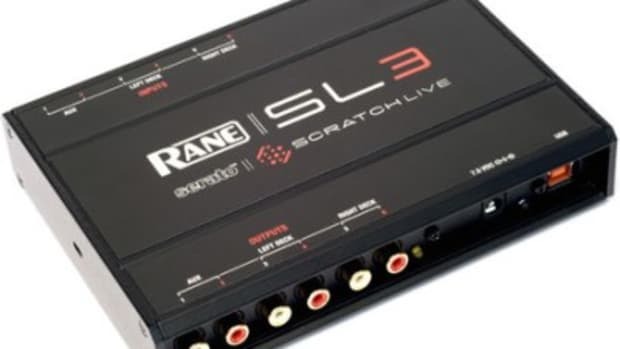 Rane's Serato Scratch Live Update! This version is primarily a maintenance release, with the emphasis on fixing problems and improving stability. The one new feature is the tempo tapper, to help you with determining the BPM of your songs. When you start 1.6.3, before you load a track, have a look at the song info area. You’ll notice the top right corner contains a button faintly labeled ‘tap’. Load up a track, if the track you just loaded has a BPM set already, it will display the BPM as usual, if it doesn’t have the BPM set, you’ll see the tap button. For either case, pressing alt-spacebar will activate the tempo tapper (press alt-spacebar a second time to activate the tempo tapper on the right Virtual Deck). Tap the space bar to the beat, on the quarter note. After you’ve tapped the second beat, you can switch to double time tapping, half time, start of each bar etc. The range is set by the first two taps, after that you can switch to any steady rhythm you feel comfortable with – quarter notes, half note, whole notes. Esc resets the BPM, enter saves the BPM to the track. You can use the mouse if you prefer. Note that your CD player or turntable’s pitch slider doesn’t need to be at zero, we do the math for you. You can also use the tempo tapper when no song is loaded, for finding the BPM of regular records, for example. Version 1.6.3 contains further improvements to both detect and cope with corrupt files. Before using 1.6.3, we recommend that you rebuild the overviews of the files that were previously marked as corrupt. Once you have done this, if you hover the mouse over the corrupt file icon, you&apos;ll see a message at the bottom of the screen describing the problem with the file. 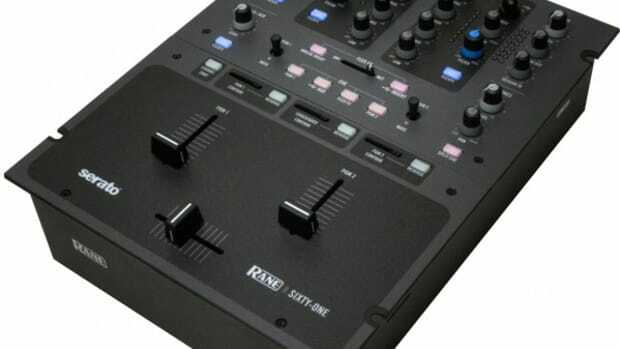 TTM 57SL users will notice that the action of inserting an effect automatically locks the BPM of the effect to the deck that you just inserted it on - no more tempo tapping if the BPM is set in the song info. There are many other improvements in 1.6.3, for a full list, see the change log below. Installing this version will overwrite any previous version you had installed. PC Users - before installing, find the ScratchLIVE executable (by default it is in C:\Program files\Serato\ScratchLIVE, and rename it - for example call it ScratchLIVE1.6.2.exe. When you install the new version, the old executable will not be deleted, and you can choose which you want to run by going into that folder and double clicking on the executable. You can still do this if you have already installed 1.6.3 - rename the executable to ScratchLIVE1.6.3.exe, and then reinstall the version you were running. Before you make any changes to your Scratch LIVE setup, including installing a new version, as a general rule we highly recommend that you backup your data. The easiest way to backup your data is to simply copy your Scratch LIVE folder to another location on the drive. - For the drive that contains "My documents", just copy the ScratchLIVE folder which is in My Docmuments\My music\ to another location onto this drive. - To back up database and crates of an external drive, copy the hidden .ScratchLIVE folder (which is in the root of the drive) to another location on this drive. As with all releases, we highly recommend that you try this new version at home before playing out live with it! - Fixed audio cache running out on some low-spec Macs. - Improved handling of comments and the comment language. - Fixed issue where a song unload could cause the UI to freeze for a second or so. - Fixed mp3&apos;s being incorrectly marked as corrupt due to splitting. - Fine tuned incomplete WAV file detection. - Crates can now be dragged onto the Prepare button. - Fixed modulated distortion in the audio if you are repeating a track in Absolute mode. - Made changes to the song library as an additional safeguard against the empty crates problem. - Readjusted GUI vs. audio cache priorities. - Changed the drag and drop scroll delay time to be longer. - Fixed a GUI freeze that could happen if loading a song to a deck that is not playing. - Fixed unexpected behaviour when multiple "jump to cue" hot keys were pressed at once. - Cue stutter now works for temporary cue points in Relative mode. - Fixed graphics glitch when the track position marker would appear to jump briefly to a random position. - Fixed disappearing ticks in popup menus. - More improvements to song load time. - Fixed scrolling in track window on Mac when pointer is stationary in the scrolling trigger zones at the top and bottom of the window. - Mp3 files that have been improperly trimmed or split (non-zero data pointer in the first frame) will be flagged corrupt. - Added "Tap Tempo" feature. - Fixed USB dropouts and performance drops that occured while playing through a silent section of a small number of tracks. - When hovering the mouse pointer over a corrupt/missing file icon in the track window, a message giving details of the problem will display in the status bar. - Fixed the &apos;track stack&apos; crate from appearing in the crate window as a result of repositioning songs in the prepare window. If this crate has appeared while running a previous version you can safely delete it. - Changed the crate reading and writing behaviour in such as a way that it should no longer be possible to have any permanent data loss (ie. empty crates). If an error *does* occur while reading the crates off the disk an error message will show in the status bar. - Improved scrolling behaviour in the Browse window when using arrow keys. - Reinstated cue stutter when pressing keyboard cue shortcuts while playing. Note that this only works with the keyboard at this stage as the stutter was originally a side-effect of the operating system keyboard repeat. - Fixed the track list sometimes not updating straight away after importing songs / rescanning tags. - Fixed BPM of certain tracks not being displayed. - Improved window scrolling when dragging tracks across the track list borders. There is a delay before scrolling the window, plus the scroll speed varies depending on the mouse position in the scroll area. - Fixed popup windows from being drawn over by other objects (eg. tooltips, popup menus on the 57 panel) (mac only). - Fixed >44.1kHz songs not displaying waveforms when zoomed out the maximum amount. - Improved GUI performance on song loads / needle drops plus improved smoothness of the waveform displays. - Fixed minor visual bug where the pitch reading would be incorrect on startup, after exit in 45RPM internal mode. - Added missing beatmatching display tooltip. - Fixed the task bar iTunes loading message not clearing if no iTunes xml file is found. Now it displays "iTunes library not found"
- Fixed the task bar iTunes loading message not clearing if you check and uncheck the "read iTunes library" option before it finishes. - Removed the auto and prev / next buttons from absolute mode. Keyboard shortcuts for prev and next still work. - Improved MP3 stability and added checks for more types of corrupt files. - Fixed MP3 files that are not corrupt being erroneously marked corrupt during playback. - Improved recognition of unsupported WAV formats. - WAV files greater than 2GB are now marked as not supported. - TTM 57SL joystick transform states are now saved for each group. - TTM 57SL effect settings and joystick transform states are now saved between sessions. 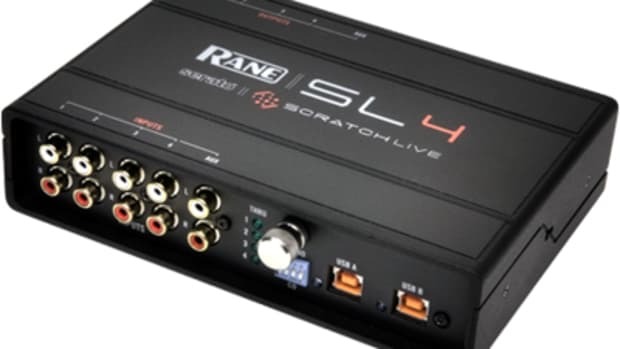 - Fixed TTM 57SL firmware update problems where the user would have to restart Scratch LIVE to continue the firmware update on Windows. - Fixed the TTM 57SL preselect deck directions not being saved after pressing &apos;reset controls to defaults&apos;. - The TTM 57SL &apos;expand library on track scroll&apos; option now works when using "vinyl scroll". - TTM 57SL transform on/off state is now remembered for each group. - TTM 57SL effects now track the bpm of the insert point&apos;s deck by default. - Fixed crash that could sometimes occur when unplugging the TTM 57SL on mac while the audio is streaming. - Changed the TTM 57SL set loop/adjust functions to be assignable to all the 57 controls, not just knobs and footswitch. - Fixed track repeat not working with the MP 4 interface." Looks like they did their homework and made some appropriate changes! 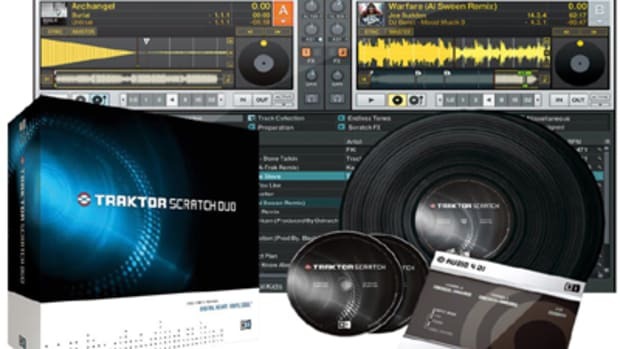 These downloads are free to registered users of Serato Scratch Live, so what are you waiting for? Get the update!!! 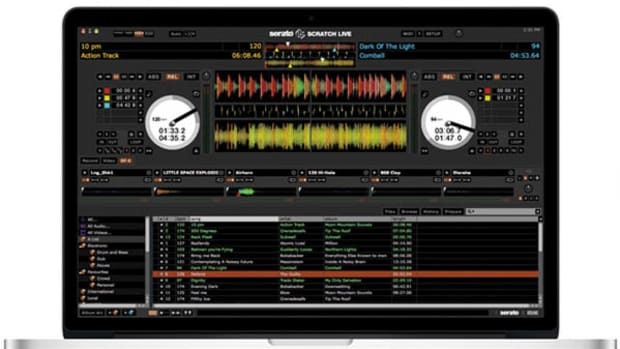 Serato has just released the official new update for Serato Scratch Live which is now up to 2.4.4. This new update will fix a few bugs and improve the overall stability of the SSL platform. 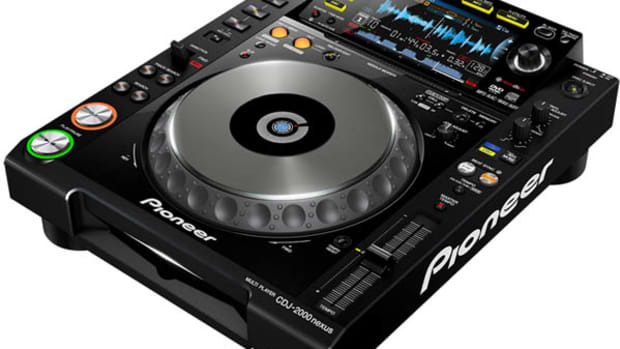 They've addressed many of the software crash issues that certain hardware would present and the Serato team has also changed the way the installer installs drivers of certain hardware. Check out the full press release notes for SSL 2.4.4 and then head on over to the Serato website for your free SSL upgrade after the jump. Last night Serato DJ has released a new update to their flagship Software to provide additional compatibility for new products. 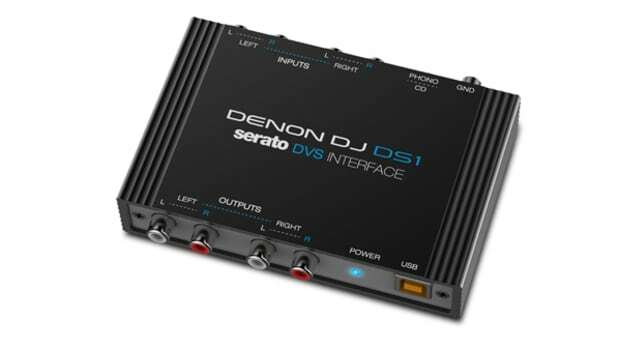 This new Serato DJ 1.7.6 update specifically allows users to now purchase a new 24-bit Denon DS1 professional DJ soundcard for Serato Noisemap vinyl or CD control with external mixers and turntables or CD decks. 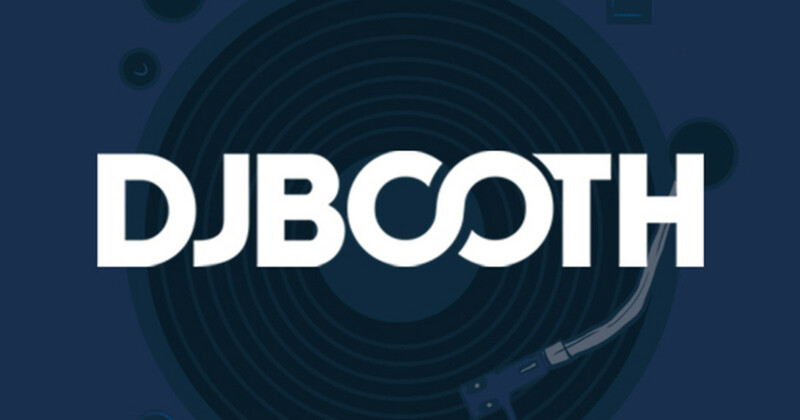 The new Serato DJ 1.7.6 update also has a few other fixes for minor bugs within the software. Check out the quick videos that show the new Denon DS1 in action both with Vinyl and CD setups.